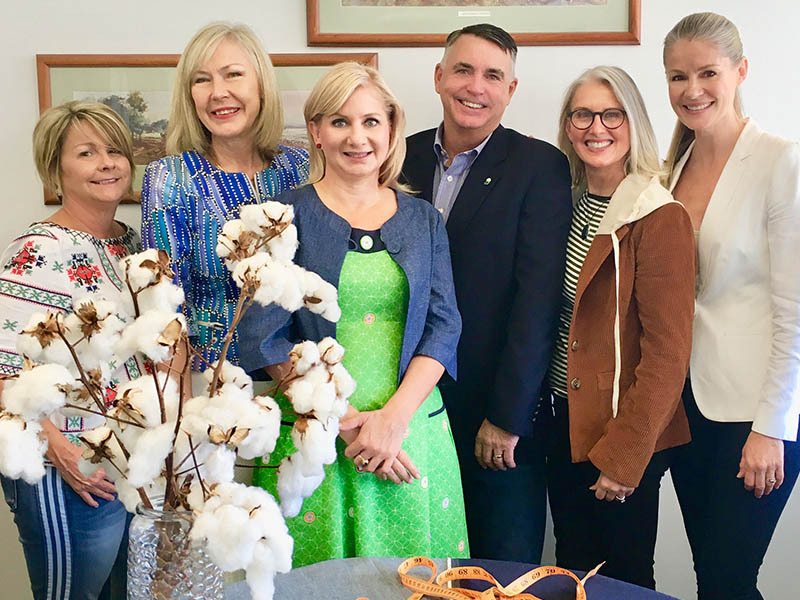 After producing the highly successful 4 minute global branding film “Australian Cotton, naturally the best”, producer Sharen Kenny has come in from filming the cotton fields and now taken the Australian Cotton Shippers Association (ACSA) into the heights of glamour. 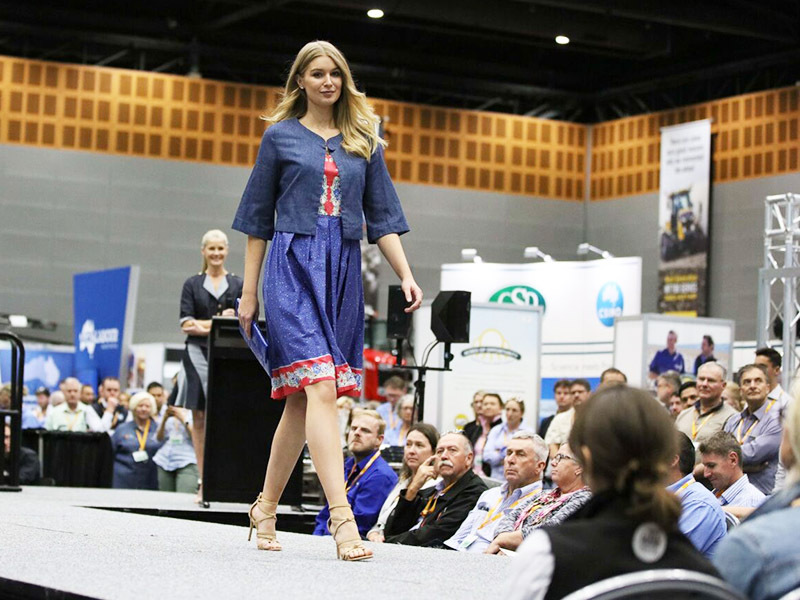 As part of the bi-annual Australian Cotton Conference, the Australian Cotton Shippers Association hosts a Fashion Runway Show that naturally stars Australian Cotton. 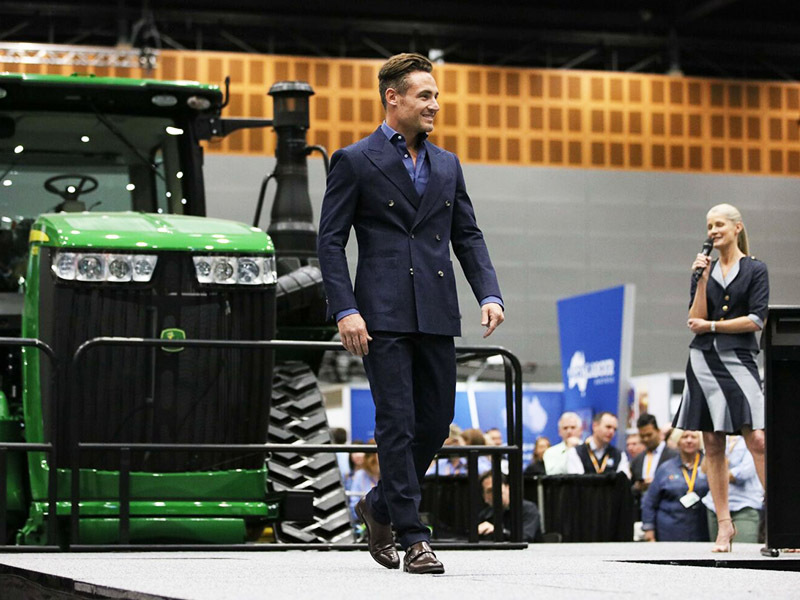 This year’s theme was “Denim by Design” featuring Australian denim. Palatine Productions were thrilled to work once again with ACSA who chose Sharen Kenny to be their Show Producer and Host for this unique Fashion Event. In a brand new concept for the ACSA Fashion Show, Sharen invited some of Queensland and Australia’s leading fashion designers who love working with cotton to showcase their brands - Pia du Pradal, Tengdahl, Maiocchi and exclusive bespoke menswear from The Cloakroom enthusiastically came on board for this special fashion project. 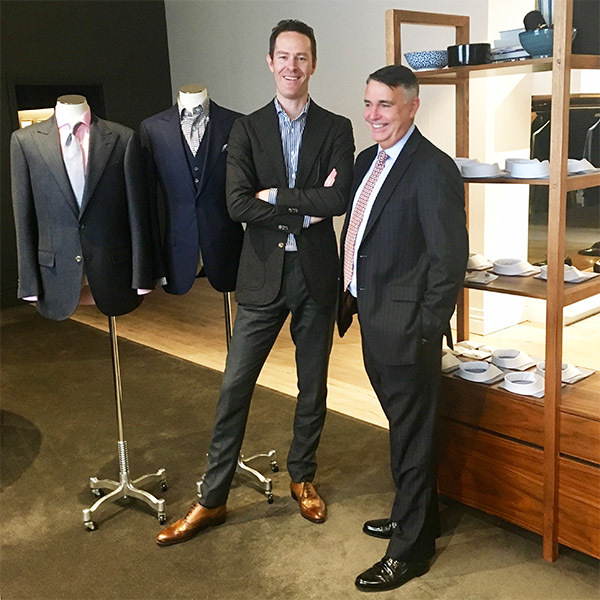 Andrew Byrne from The Cloakroom and ACSA’s Chairman Cliff White. The Designers were given a unique challenge, to create high fashion garments specifically for the “Denim By Design” Show using denim. 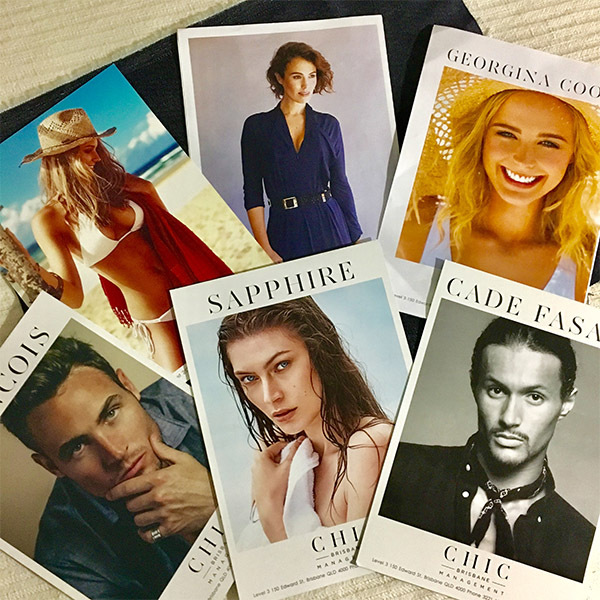 ACSA generously gifted all our Designers with denim made from 100% Australian cotton with a no holds barred creative brief. 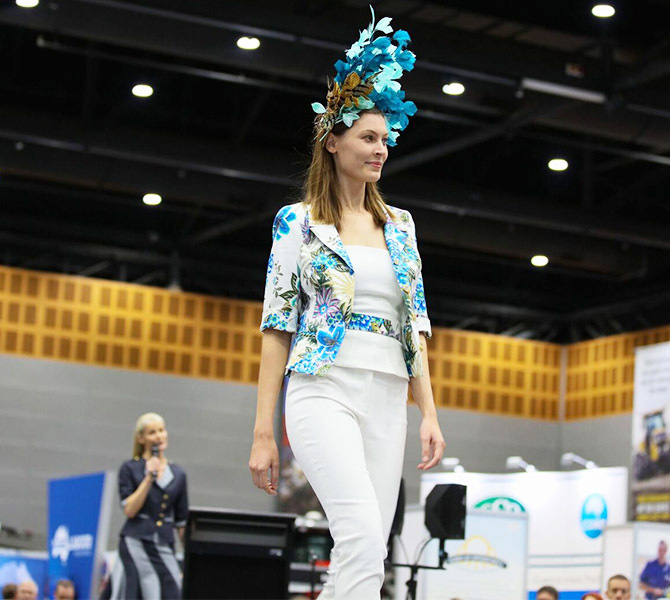 The denim was especially sourced and brought into Australia by ACSA for the Show from Square Textile Ltd, in Bangladesh and Neela Blue in Pakistan, who provided the range of indigo and white denims for our Designers. 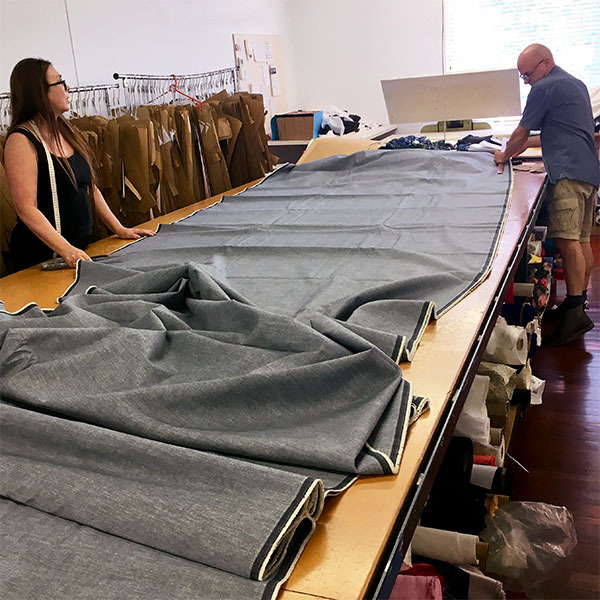 The Pia du Pradal Studio Team cutting up the Australian Denim for our designers. Sharen meets Chelsea Moody from Chic Brisbane during casting. 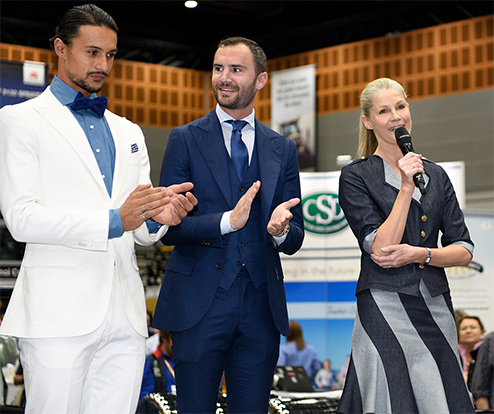 Six stunning Chic Brisbane Models were the perfect fit for this unique Fashion Event. 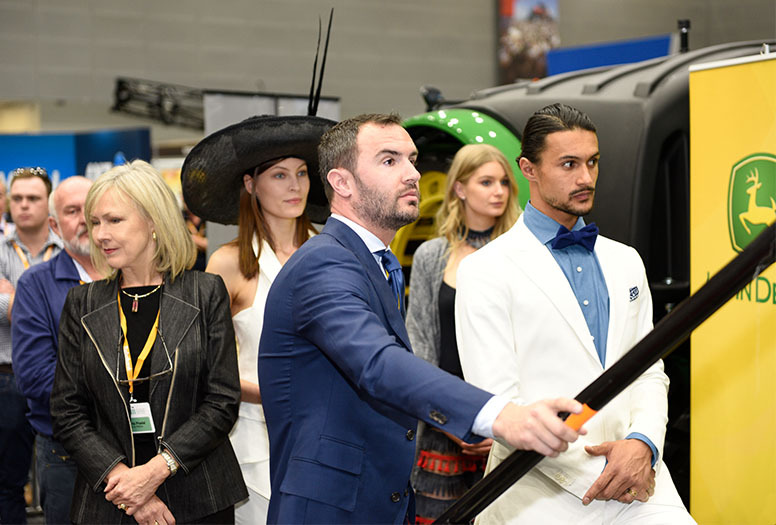 Models Cade Fasala and Francois Passamani of Chic Brisbane excited to come on board. 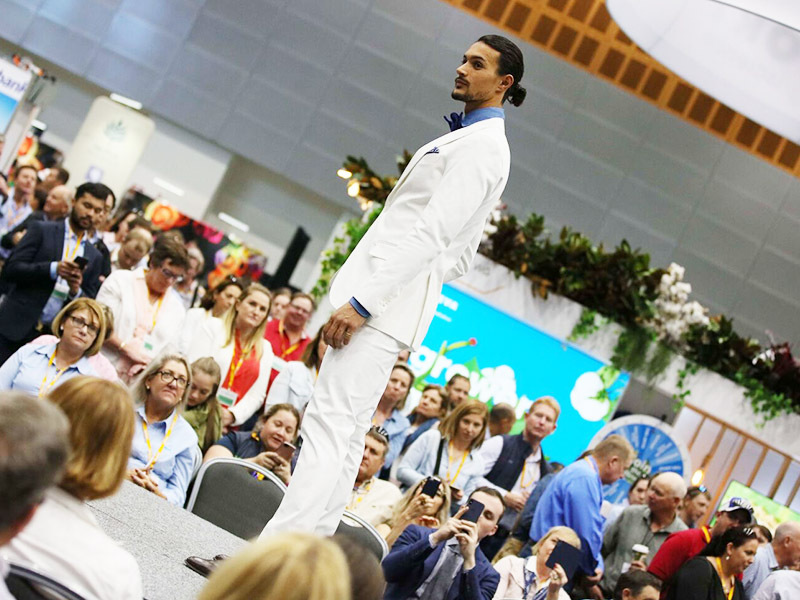 Sharen produced a classic, beautiful and engaging show featuring stunning Chic Brisbane Models on the runway in the unique setting of the enormous Trade Hall in the Gold Coast Convention & Exhibition Centre. Pia du Pradal, Maiocchi, Tengdahl and The Cloakroom created unique sensational Looks for the runway celebrating Australian Denim and it was on with the Show! Designers and Models await their Finale appearance. “Meet the Designers” – Model Cade in a slick white denim tuxedo with Callum O”Sullivan of the Cloakroom in the Finale. Designer Julie Tengdahl with Model Chelsea dressed in Tengdahl’s “Essaouira” look on the runway. 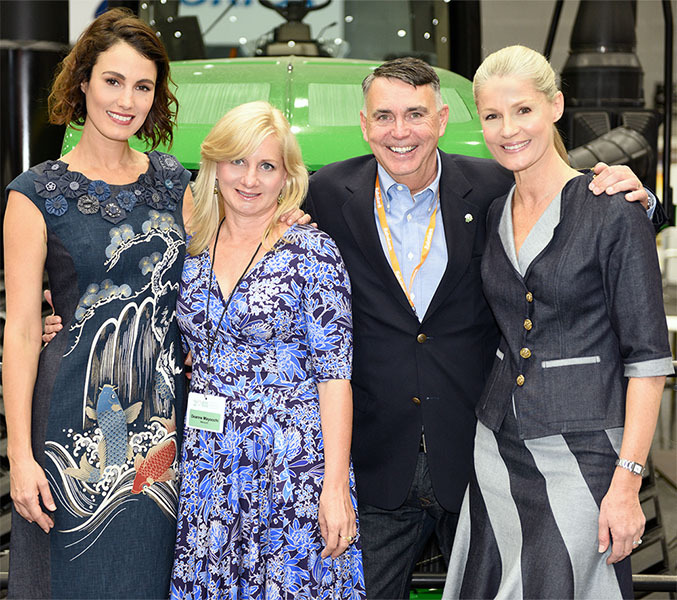 Designer Deanne Mayocchi with Model Adele Frost, ACSA Chairman Cliff White and Host Sharen Kenny. 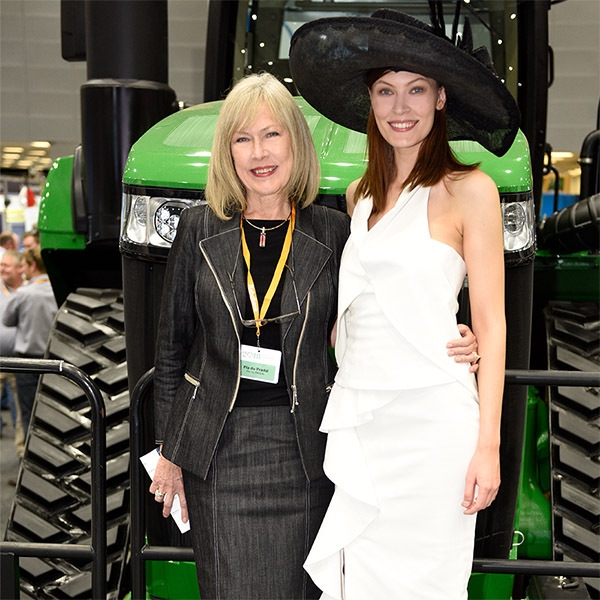 Designer Pia du Pradal with Model Sapphire De Goede in her Finale look. The Cloakroom Finale – Cade Fasala, Callum O’Sullivan of The Cloakroom and Francois Passamani. “Denim By Design” wrapped on a high! 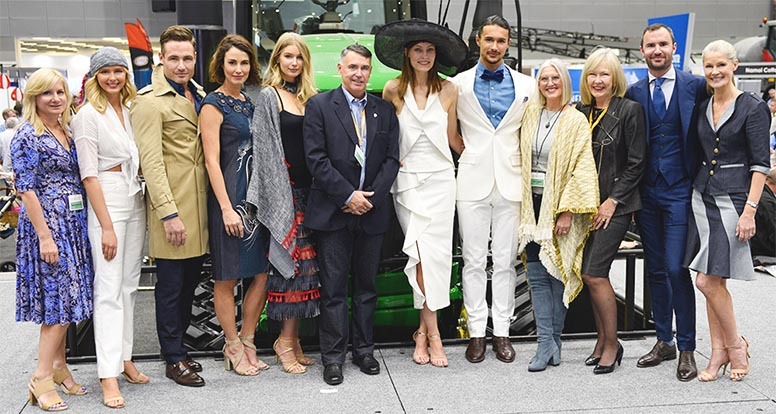 With a backdrop of the million dollar plus John Deer Harvester and viewed by 2400 Australian and international elite cotton industry Delegates, the ACSA “Denim By Design” Fashion Event showcased what a wonderful industry and incredible product our Australian Cotton is. 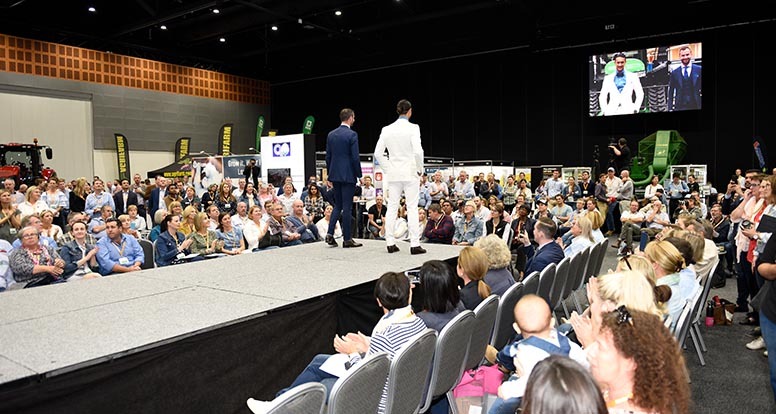 The Australian Cotton Shippers Association “Denim by Design” Fashion Show was held at the 2018 Australian Cotton Conference at 1.30pm on Wednesday, August 8 at the Gold Coast Convention and Exhibition Centre. 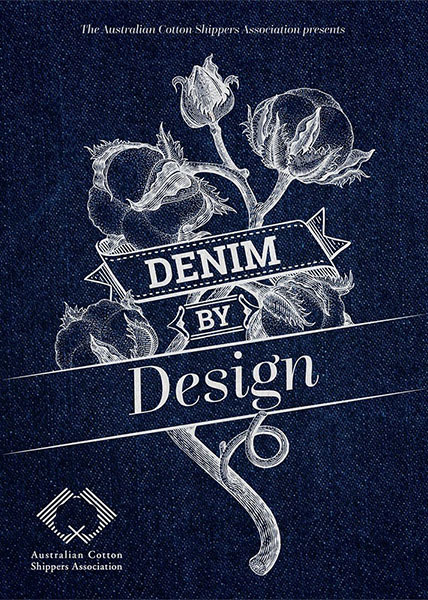 Many thanks to our participating Designers – Pia du Pradal, Tengdahl, Maiocchi and The Cloakroom for their wonderful contribution to help make “Denim By Design” a huge success! A big thank you to our amazing back of house Crew – Stella Jasinowicz, Rachel Curley, Allyse McVeigh and Jodi Curnow-Baker for all their hard work and support behind the scenes. Special thanks to our wonderful media supporter Queensland Magazines and Indulge Magazine for covering the ACSA Fashion Event. For socials view link below.